T-shirts might not be the first thing that comes to mind when you think about investing in for your company. However, it has been proven over the years that something as simple as a t-shirt can be used as a super weapon in moving things in your business. We’ve selected a few reasons why we feel that investing in t-shirts for your company can not only be a super fun process, but also a process that will give you a lot of benefits in return. If you look at shoes, cars or even bags, you will notice that almost all of them will have their logos or any type of company branding on it. The sole reason for this is really just marketing. It’s free advertising! Just imagine, how many people do you actually meet in a day? Imagine all those people actually seeing your brand and what you have to sell. You will never know whose heads you might turn. This will greatly encourage your conversion rates as well as your branding awareness. Another great way to use t-shirts is to actually make a tonne of them and give them out at your events, roadshows or as free giveaways. Everyone loves free stuff and they will be more likely to wear it around for a while. 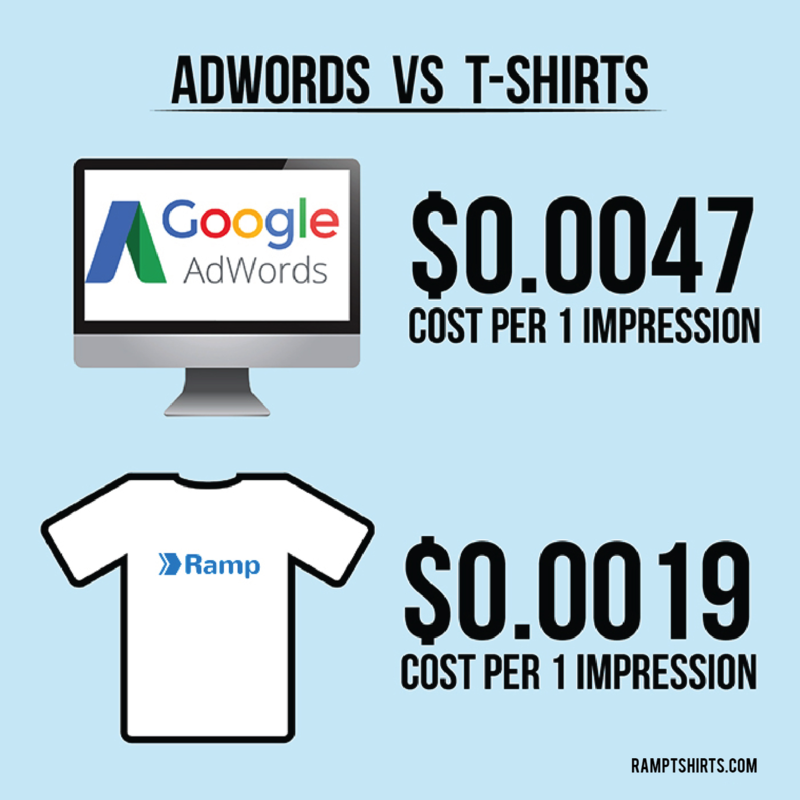 According to a study done by ramptshirts, they say that t-shirts are actually a much more effective marketing channel compared to Adwords. Ensuring that you build brand ambassadors is something that you really need to take seriously. There is only so much money you can throw at paid marketing to get brand awareness. After a while, when everything dies down, the loyalty that stays is the kind of loyalty that will stay forever. They will turn into brand advocates that will always speak good things about your company. Using your custom apparel, you get to ensure that your customers remember your brand all the time. When Twitch, the famous video streaming platform gave out a limited amount of hoodies to their fans that was only given to VIPs. They instantly converted 2000 sales to 2000 brand ambassadors that were super excited to speak about Twitch to everyone else. The direct effect of this is that you’ve created long-term supporters of your brand and that is something you cannot pay for. 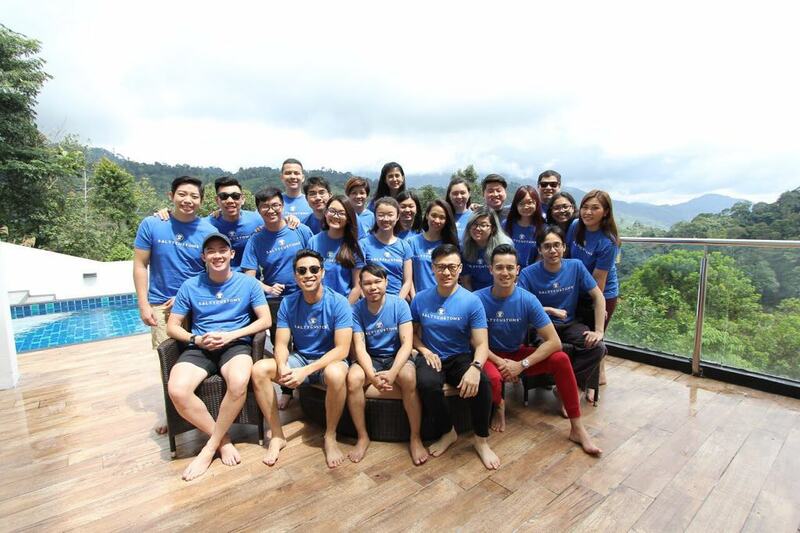 The spirit of camaraderie is one of the biggest core values that a lot global companies want to cultivate and achieve. Wearing the same swag that shows the team spirit of the company will bring everyone together. It’s been proven that the better performing teams are the ones that are the most cohesive. Teams that trust each other usually show better results and are more optimized. You could also make your customers part of your “Squad” by giving out the same style with different text to let them feel like they are part of the team too. Customized apparel is currently one of the more popular ways of expressing yourselves as people love putting their own spin on things. A lot of larger companies have also been jumping on this bandwagon. If you want to explore the possibility of your company purchasing customized apparel for your team of 500 people, drop us a message to speak to one of our experienced Apparel Consultants today!